Kensel Tracy The Marketing Coach: Canadian Companies Face Different Challenges than U.S. Counterparts. Canadian Companies Face Different Challenges than U.S. Counterparts. I came across an interesting discussion this week online by Paul Ricketts where he put a question out on his blog about the differences that Canadian companies face in comparison to those starting up in United States. Many of my American business friends and I discuss this on a regular basis especially now that the world is getting smaller every day and Canada’s small business environment is growing especially now that we have a solid economy, great standard of living and a highly educated workforce. Yes, in many parts of the country that goes with 6 months of winter, but Canada is still a great place to start a business. However in spite of all the good things about doing business in Canada, Ricketts brief survey addressed some of the issues affecting Canadian start-ups. For one, Canada has a small domestic market which is further fragmented by inter-provincial barriers and regulations. This is especially true for tangible goods. Many products are regulated provincially forcing many Canadian companies to seek markets offshore or in the U.S. quicker than developing the Canadian market. For many start-ups this means that many companies are doing business in foreign markets quicker than their U.S. counterparts and this leads to increased costs and marketing issues as companies are forced to tackle markets outside of their home country. Canada also has a much smaller VC market and angel capital pools are smaller. This means that investors are required to be less patient in there need for returns which forces a lot of smaller companies to grow much more quickly to satisfy investors forcing in some cases quicker expansion and higher risk taking. This is not all bad, however but if you have a product that requires good long term patient investment it can be difficult to find the right investors in Canada. Because of the size of the market only 30 million people, there is a lack of diversity of industry clusters and sub-clusters and fewer companion companies within those clusters, so a lot of start-ups are forced to go alone or go a long way from home to find companion products and companies that can use their products. Canada also suffers from a lack of large major home grown companies and has limited national and global players with a major presence to act as catalysts for new ideas and to grow management talent. This does not mean there isn’t any real talent there is, just not enough. Ricketts also thinks that Canadian business owners have a bad case of “ sell-out-itis “ which forces Canadian companies too often to take the big cheque sell out too early or plan a business with short-term or limited thinking where the entire business strategy is predicated on finding an exit. With that being said, a stable economy, solid work force and a growing market Canada is still a great place to consider starting a business. There are a large number of government business incentives and safe environments. The only thing that we really need is a better climate in general, because sometimes you just don’t need 6 months of winter. 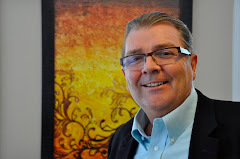 Kensel Tracy, The Marketing Coach is a Senior Partner with the Corporate Coachworkz Inc. located in Ottawa and Chelsea, Quebec and is also the President of Business over Breakfast Clubs of North America now opening in every City. If you have a story that you think on doing business in Canada, he can be reached at kenselt@sympatico.ca.